Prattz wrote: I have a feeling we should refrain from spamming. Agreed. I can still delete posts, so be warned. Also, Heckboy is a mod too, but he hasn't logged on since I made the site . But there will be more mods. Do not ask to be a mod. If I feel that you are deserving enough to be one, then I may just pick you to help out with moderation. did you speak to heck about him joining? Slayer25c wrote: did you speak to heck about him joining? Yes, but he hasn't logged on since I PMed him. lol don't ask well if he added I would like to take him in my group. If that ok with you both? 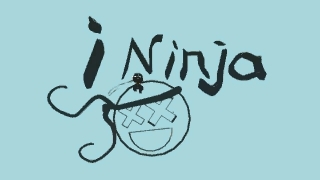 He's just jealous that there's no ninja smiley. Oh, and are you telling me not to ask to be a mod? Because I'm not gonna ask. don't tell anyone about the ninjas in here lol. This forum is a great idea, it'll make it much easier to talk about TE without making a bunch of LBW threads. Well it is OC everyone has been waiting for it. Today you should be with your groups and getting to know each other and so what. Make a name for your group and pick what you are going to make. Team Cloud is ready and we hope we will work with you all soon or later. However, we are short a mechanic, so you'll have to wait a tad longer. See if any friends are interested in joining us, specificlly mechanical people. I'm not used to Non-psn forums, Testing....? lol. Well if it is ok with you Heckboy I would like FocusRSdue in my group we need one more person. Fishrock123 wrote: I'm not used to Non-psn forums, Testing....? lol. please explain to me what happen here? Man! That was an awesome level. and on LBW all teh text is super small and laggy. >_< Dang I need to redo this comp soon. I thank you, I don't mean to brag, but I am the most random crapper around, who else has a giant Homer Simpson head, a giant porcelian doll, a ventriloquist's dummy, a working car, a gummy bear, a Devil, a gold goblet, an explodable temple, a working volcano and more, inside their "My Objects" category. Go on, tell me! Does anyone feel that we need better system how things are running right now? Slayer25c wrote: Does anyone feel that we need better system how things are running right now? Be more specific. This site, or the whole of Team EPIC? And what about those things do you want improval on? Hi everyone, how's everyone finding O.C? I need my group (Team 7), sorted, Studentske and totalwarior6780 don't seem to be around - we might need a new Random Crapper and Mechanic. We Have a Birthday this saturday so everyone please wish Jose a happy bday on Saturday. On SATURDAY guys! Not yet!